Zinga’s offers American Made shutters that have a Lifetime Warranty, all at prices that Beat Lowe’s and Home Depot. We offer both Faux Wood and real wood options that can be matched to your trim or stain. We call shutters, furniture for your windows. With over 40 paints and 40 stains to choose from you can find the shutter that fits perfect in your home. Schedule a free estimate and we will bring samples of our product directly to your home to see how they will look in your windows. Our products are manufactured right here in the USA. Shop with Zinga’s to keep your money in America. Have you been looking for real wood shutters but felt you could only afford the faux wood price? Zinga’s is proud to offer REAL wood shutters at a price competitive to what others offer their faux wood product. Plus ours are backed by the best warranty in the industry. We call shutters, furniture for your windows. Our shutter start from solid wood harvested in the USA. With over 40 paints and 40 stains to choose from you can find the shutter that fits perfect in your home. Doing your research on what type of shutters to purchase? We've got the details for you. 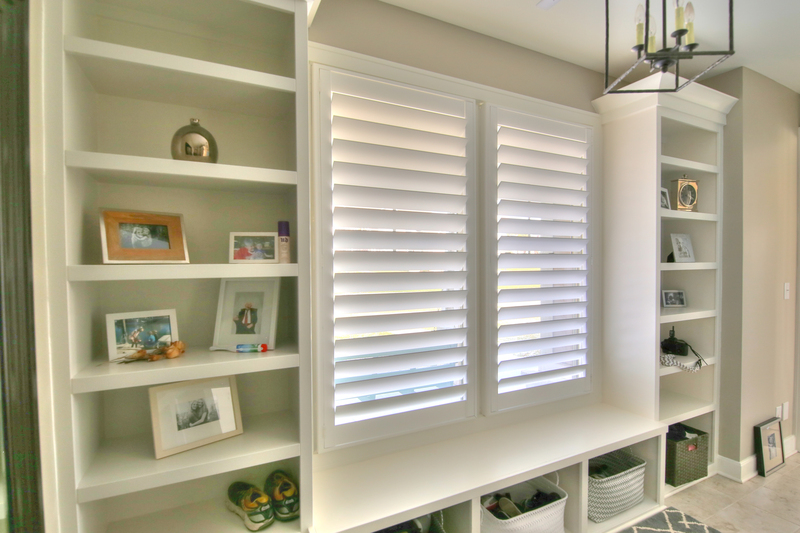 Learn about the types of shutters you should look for and functionality shutters bring. Download our comparison chart to see how Zinga's compares to other shutters companies. Custom Wood Shutters from Zinga’s come in wood that resists warping, fading, cracking or peeling. Choose from over 40 painted or 40 stained finishes to complement existing wood furnishings. Our wood shutters can be customized to fit any size or space such as oblongs, arches and even octagons! Elevate your home’s sense of style with an architectural beauty that makes a memorable first impression. You can also choose from double-hung panels, café-style shutters, track systems, and much more. Call today for a complimentary, in-home design consultation with one of our highly trained design Consultants and see for yourself how premium Wood Shutters from Zinga’s can transform your home into a house of unparalleled style.